The Vancouver Condo Buzz » From $239,900! THE LOOKOUT at Victoria Hill New West Condos by Onni > The Pinnacle of this Master Planned New Westminster Waterfront Community! From $239,900! THE LOOKOUT at Victoria Hill New West Condos by Onni > The Pinnacle of this Master Planned New Westminster Waterfront Community! 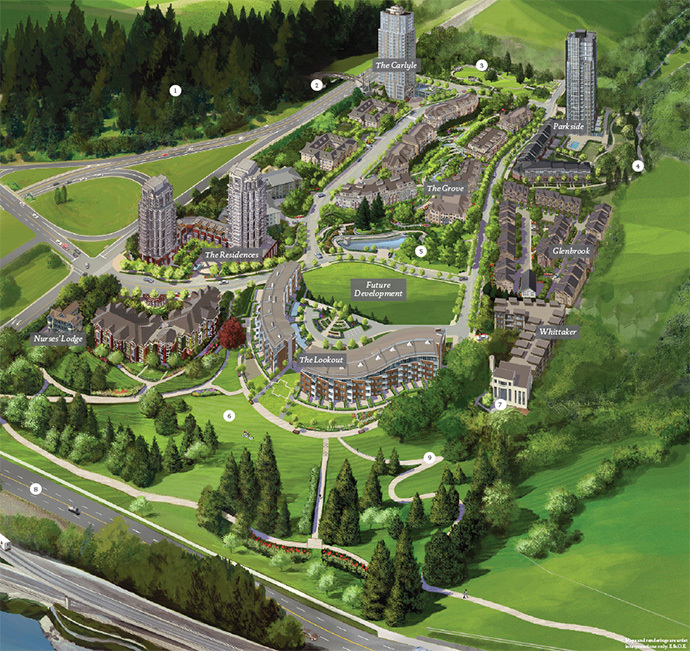 One of the most spectacular master planned Vancouver developments is Victoria Hill in New Westminster BC. Here, homebuyers will find a wide variety of housing types, price points and floor plans that are catered to generational living. The New Westminster Lookout at Victoria Hill is the latest and final chapter in this prestigious new community. The Lookout New Westminster condos are now previewing and the affordable homes start from just $239,900. “Beauty Lives Here” and we certainly agree with this! With acres of green space and beautiful waterfront trails, the Victoria Hill New Westminster community is one that will give you a sense of community and a sense of belonging to one of the most sought after neighbourhoods in the Lower Mainland. The Lookout at Victoria Hill New West condos is designed to be THE iconic center piece of this master planned community. The architecture embraces the natural surroundings and the prominent site location also affords great green space and/or water views. The Lookout by Onni is one of the best offerings we’ve seen in the New West real estate market in some time and it’s prime location at the top of Victoria Hill’s Grand Lawn means that some suites will have unobstructed and panoramic views of the Fraser River, city and beyond. That’s why this newest boutique low-rise at Victoria Hill New West is called ‘The Lookout’ condos. The architecture is not cookie cutter either. The amazing curves creates privacy and extends views from your own home. Because of the price point, location, architecture and interior finishes, we highly recommend any homebuyer looking for a spectacular new home to check out the Onni Lookout Victoria Hill condos today! You can register your interest at www.onni.com. The click on ‘The Lookout at Victoria Hill’ and you will get to more details about this New West condo project! Here are some of the draft layouts at The Lookout by Onni in Victoria Hill. Please note that these floor plans are subject to change without notice at any time. > Victoria Hill Lookout Floorplan H – 2 Bed and 2 Bath at 895-920sf plus 940-1025 square foot outdoor living that includes a terrace plus an expansive roof deck! Here are some of the highlights surrounding your well situated new home at Victoria Hill’s The Lookout Condos. No matter your activity, there is a recreational facility to suit your needs that includes: Mercer Stadium, Sports Fields, Canada Games Pool & Fitness Centre, Royal City Curling Club & Lacrosse Hall of Fame, Millennium Trail, Summer Softball Diamond and Riverboat Casino. In addition, medical and civic services are just minutes away and they include: the New Westminster Civic Centre, 10th Street Medicentre, Glenbrook Pet Care Hospital, New West City Hall, New Westminster Wellness Centre and the Royal Columbian Hospital. As one of the province’s oldest cities, New Westminster is also steeped in both history and culture. 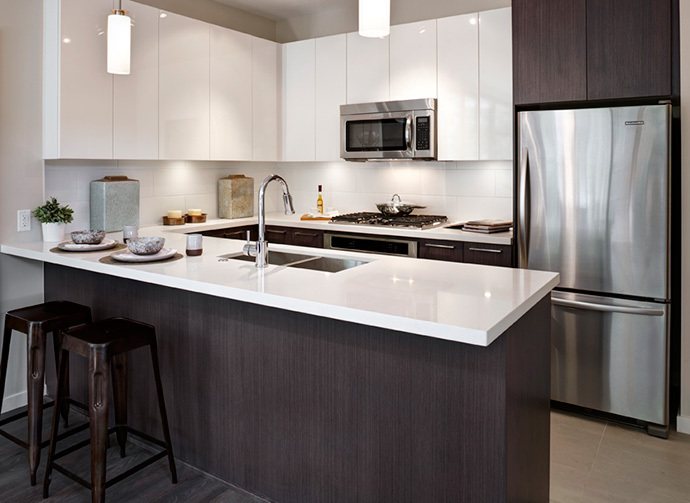 Some of those highlights surrounding your new home at The Lookout at Victoria Hill condos includes: Royal City Musical & Theatre Company, Massey Theatre and the Public Library. Educational options near the Victoria Hill Lookout condos includes New Westminster Secondary School, Herbert Spencer Community Centre, Ecole Glenbrook Middle School and Douglas College for higher education. Dining options include The Boathouse, The Keg, Victoria Sushi, The Old Bavarian Haus and Heritage Grill. New West also has a mix of established shopping and fresh boutique shops that include Royal City Centre Mall, Royal Square Mall with Starbucks, M&M Meat Shop, BC Liquor Store, Safeway and Subway in addition to Columbia Square. The grocers surrounding The Lookout at Victoria Hill include the River Market at Westminster Quay, Save on Foods, Safeway, Thrifty Foods, IGA and Royal City Farmers Market. It’s not just about The Lookout, Parkside Condos at Victoria Hill are Also Selling Out! 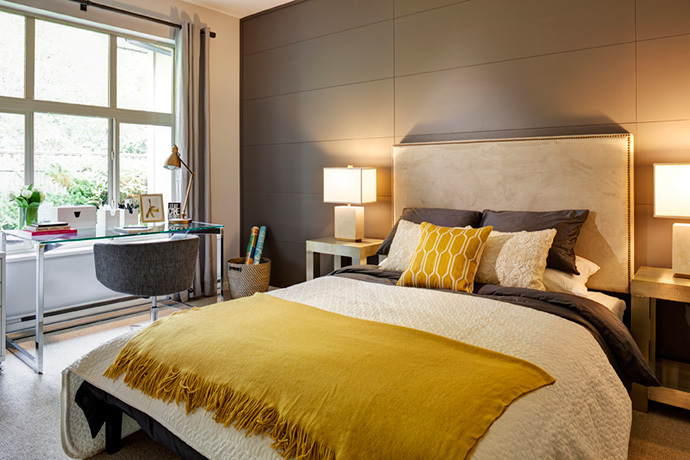 Onni proudly presents the final two opportunities to own at Victoria Hill New Westminster. This is an award winning community located within a 65 acre master planned site that offers more than 40 acres of green space, 120 species of old growth trees, breathtaking views and easy access to Queen’s Park. The final two phases, Parkside and The Lookout at Victoria Hill New West showcase unsurpassed value in the heart of the Royal City. New Westminster real estate’s best value starts from just $239,900 with 200 presale homes priced under $399,900 in these 2 final releases. The Victoria Hill Lookout condo presentation centre opens September 21st at 295 Francis Way New Westminster and is open every day except Fridays between 12-6pm. From the Onni website: The Lookout at Victoria Hill has been designed to be the iconic centrepiece of this master-planned community, with architecture that embraces the natural landscape and its prominent position on the site. Set atop Victoria Hill’s Grand Lawn, with panoramic views of the Fraser River, The Lookout is the perfect stage for every chapter of your life. Inspired by the flow of the Fraser River, the natural curves of the building creates a quite cove of privacy, allowing you to be a part of a larger community while experiencing the peacefulness of open green space right outside your front door.